I have now uploaded my photos from last week's ski trip. 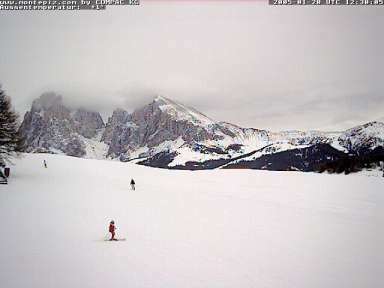 Saturday: our last day of skiing, and everyone's lessons were over, so a group joined up for a trip towards Corvara. Richard, Wendy, Daniel, racheal, Matthew, Elizabeth, Ann, Jane, Nick, and I made up the group. After lunch, Wendy went straight back with Daniel (who was unhappy about the cold) and the rest of us went on towards Passo Campolongo - although the red down from Boe was more difficult than we had expected, especially for Ann. 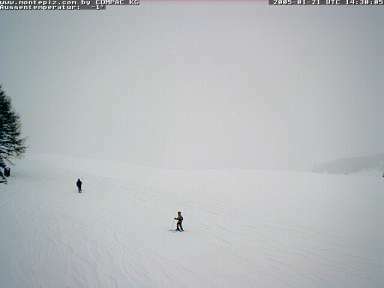 Friday: With the aid of some paracetamol and actifed, I decided to do a little light skiing - I joined Wendy who was practicing on the nursery slopes for an hour or so. Thursday: We had planned to go on a trip to the "Hidden Valley" of Lagazuoi today, but (a) I had a cold, and (b) the trip was cancelled anyway due to high winds - so I decided to take a day off from skiing. I went for a walk around town at lunchtime, and took a few snaps of the village, including the ice sculptures. Wednesday: I decided to have a slightly easier day, so I met up with Ann and Jane after their lesson, and took them up Danterceppies to do a few runs down the far side. We met up with Richard, Wendy, Daniel and Rachael for lunch. On the way down in the afternoon, both Racheal and Daniel ran off the side of the piste, so Richard had to go and rescue them. Wednesday is the day off for the chalet staff, so we went out to a restaurant in the evening. Nick had the "Stinco". Tuesday - up early to join the guided tour of the whole Sella Ronda with Duncan, Peter, Rachale, Nick - but we were too late to join the group, as we waited to meet up with some of Rachale's friends from another chalet. Started about 0930 up Danterceppies, and finally arrived back at the top of Ciampanoi at about 3pm. I was knackered by this time, so I took the bubble down rather than skiing down the last bit. We stopped for lunch at Rif. Fodom - the food was good, but the waiters screwed up the order, (missing out my lunch) so I had to order mine again after everyone else was served! 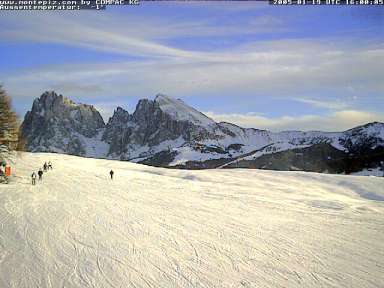 then back via Plan de Gralba, back up the Ciampanoi chair, and down. I have now tagged loads of bookmarks from this blog on del.icio.us/hchalkley - and now I have an RSS feed of the latest links in the sidebar on the right. I suppose its OK to get a nice dump of snow before we arrive, as long as it's nice again on Monday! I have been meaning for some time to start posting reviews of fantasy and science fiction books. Here's a list of what I feel are the best Science Fiction and Fantasy books of the last couple of decades. 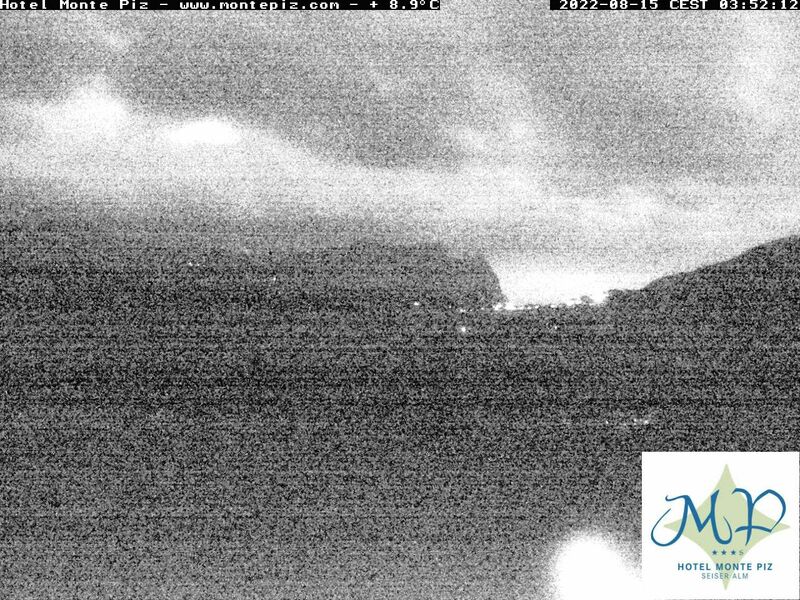 I have been monitoring a Webcam in Selva to see what the conditions are like - the weather can change a lot from day to day! Fascinating set of Photos from Titan - created by amateur enthusiasts from public data from the Huygens probe. I have just discovered this Internet Speculative Fiction DataBase - full of bibliographies for SF & Fantasy authors.